Music Student Service League students helped out at the Santa Clarita Valley Literacy and Arts Festival Saturday November 15th, 2014 from 10 am to 3pm. 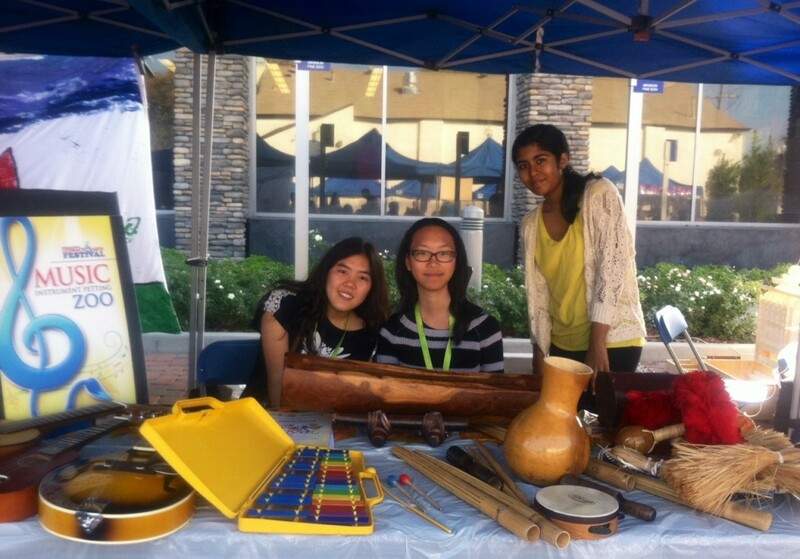 Here is a picture of them manning the Instrument Petting Zoo table outside the Old Town Newhall Library. Two of the students also performed solo violin performances there as well.